This card stock model once constructed, will give you a realistic three dimensional watering hole for your 28mm scale miniatures. Ideal for any modern wargame (1950s -present and beyond). Whether its a stronghold during a zombie outbreak, invasion by Spatz-Natz on British soil or as a location on a street devolved into violence, you will find "The Pub" as a great addition to the tabletop. 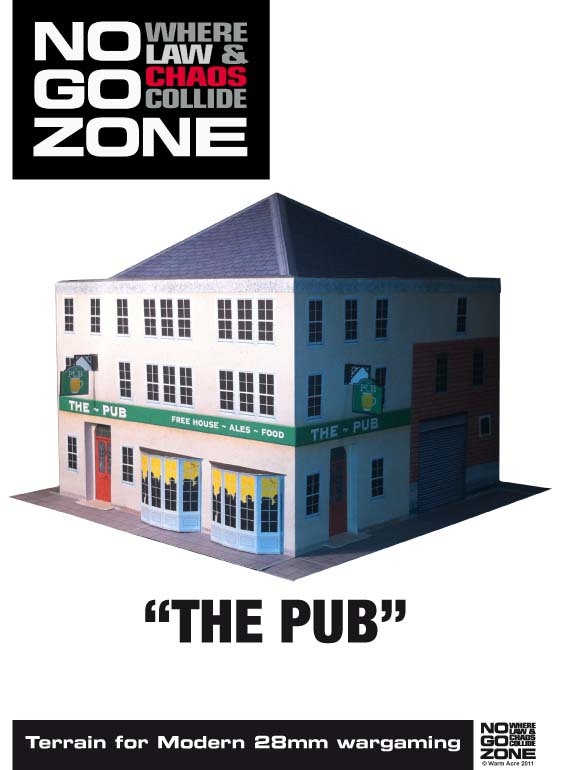 This model is simple to construct and there are some basic instructions to help you build "The Pub".